These words were part of Sibongiseni Nhlapo’s speech during the 2018 Ubuntu Ambassador public speaking competition. Teaching people about diversity in the pursuit for equality, his silver tongue recently earned him first place. 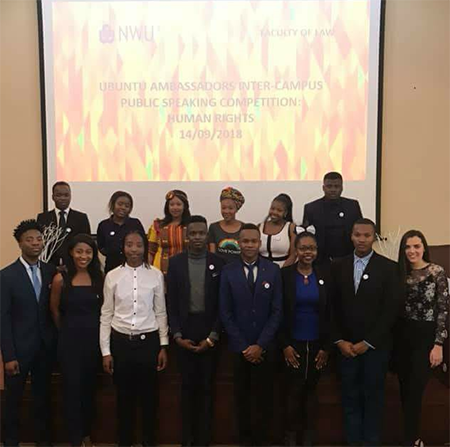 The competition, organised by the North-West University’s (NWU’s) Faculty of Law, required each participant to deliver a 10-minute speech about any issue on Ubuntu that affects the country and university. Fifteen students from across the NWU’s three campuses entered, but Sibongiseni, a third-year law student in Mahikeng, walked away with the spoils. His heartfelt speech on homosexuals and all the challenges they encounter every day basis stole the show. According to the judges he did not only deliver a great speech, but also told a mesmerising personal story. Sibongiseni was delighted with his win. "I thank the Law Faculty for this opportunity. It is is a journey that is worth advocating for. Human rights – I am because you are – that's the essence of Ubuntu." 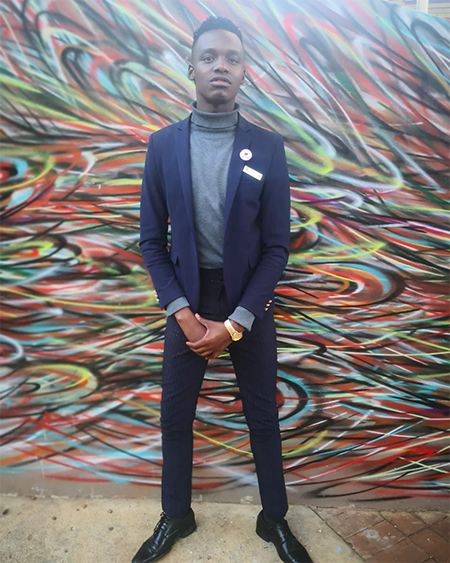 Sibongiseni Nhlapo’s silver tongue earned him first place in the 2018 Ubuntu Ambassador public speaking competition. These are the participants in the 2018 Ubuntu Ambassador public speaking competition.